If you've spent decades working with Cambodians and issues pertaining to its modern history, you may run into surreal situations like the one above. There's no reverence in discussion of history, here. We are each assessing it in our own way. This strip is about the making of last year's comic. I bought a cake from a nearby store and asked them to add some words, so I could take a photo and include this surreal image in the cartoon. 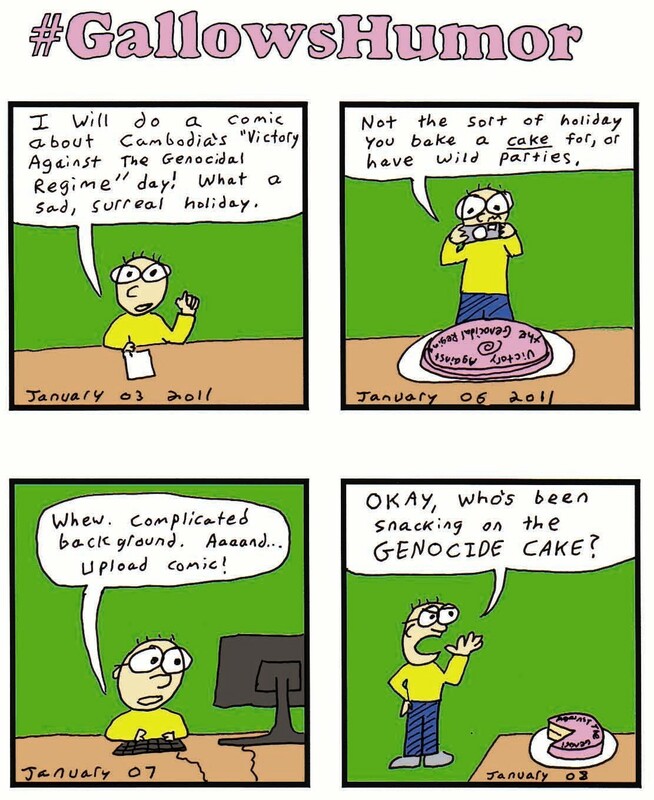 Once I'd put a chocolate cake in the refrigerator, at my shared office space, it was 'open season'.